I feel like I've talked too much about the weather already on this blog, but it needs repeating how ridiculous this is! I don't know if you're aware of this, but it will officially be fall in 8 days. FALL IN 8 DAYS. The high in ATX today is 106 - no, I only wish I were kidding. It is increasingly difficult to walk into stores and see such wonderful fall fashions when currently, wearing clothes hardly even seems like a viable option if you want to stay cool. I am desperate to dress like Cameron Diaz below. The sweater, jeans, and boots just scream of fall. I'm actually starting to wonder if fall is even a real thing anymore... Clearly I'm going a bit delirious from all of the heat - thankfully the hubs and I are taking a cool weather vacay in just 11 days! I can hardly wait! Until then though, you know I'm going to be planning the best fall outfits I can so I can at least wear fall-ish clothes for a few days before spring. :-) I hope it's cool where you are! Do you have any great fall fashions you're just waiting for it to get cool to wear? Today is my husband's birthday, and since he couldn't take the day off we celebrated on Saturday. We started off the day driving the scenic route to Wimberley to visit Wimberley Glassworks, an amazing little shop where they create beautiful hand-blown glass pieces. We got there just in time to watch the owner, Tim, and another gaffer make two absolutely gorgeous scallop-edged bowls. If you live in Austin, or anywhere remotely near Wimberley, visiting Wimberley Glassworks should definitely be on your Saturday to-do list. We then ate lunch in true small town fashion at the Wimberley Cafe. Being a modern woman, I of course checked out the Google reviews before stopping by, and they definitely lived up to the hype! I forgot to take a picture, but their sweet potato fries were absolutely to die for! I had also planned for us to take a boat ride on Lake Austin to see the Congress Ave. bridge bats leave for their nightly feeding. Have you ever gone sightseeing in your own town? If you have not, I highly recommend it. Start looking up and gawking at the buildings in downtown like a tourist, take a walking tour of the town, just go be a tourist in your own city - you'll be surprised at the fun tidbits you learn along the way! At any rate, we boarded our boat, rode around while listening to our guide talk about downtown, and finally ended up stopping on the east side of the bridge to wait for the bats. This is our view from the top of the boat. There were so many people not only on the water in boats and kayaks, but also lined up along the bridge. The bridge was actually about twice that full by the time the bats started flying! It is definitely a sight to see - 1.5 million bats flying out from underneath a bridge above your head. If you live in Austin or are vacationing in town for a bit, you should make your way down to the Congress Ave. bridge to see it for yourself. September is a great month for seeing the bats so there's still time! Have you ever gone sightseeing in your own city? What did you fun facts did you learn? Did you know that tonight is Fashion's Night Out (FNO)? FNO is a fabulous event that was started a few years ago, and it's a great opportunity to get out in your community as well as snag some deals on your favorite designers! Unfortunately, I'm not able to attend this year in ATX, so what do I do instead? I plan the outfit I would love to wear if I were able to go, of course! This is just a little something I put together. I adore the color blocking of the dress (love coral! ), and the gold on the shoes is just begging for additional gold accessories. So what do you think? What are you wearing tonight for FNO that is stunning and fabulous? I have a confession to make to the world - make that two confessions. 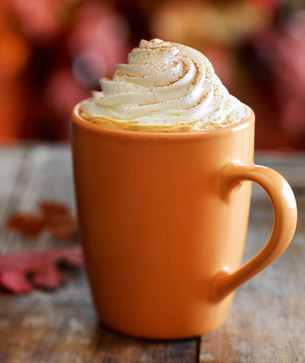 First, I don't like pumpkin spice lattes. 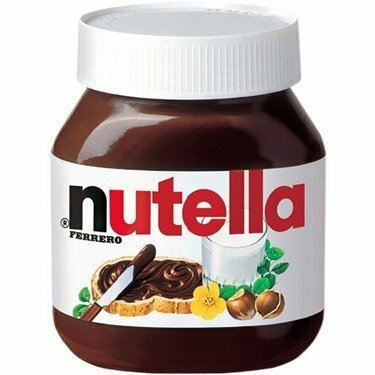 Secondly and maybe less forgivable, I really don't like Nutella. Isn't that bathroom just gorgeous?! The monochromatic color scheme and the abundance of natural light are ideal for the bathroom, and the chandelier is the perfect touch to make it über-feminine. While it's still too warm for hot chocolate and I don't yet have such a gorgeous bathroom, the cooler air moving in feels full of potential and possibilities and is Nutella-free! 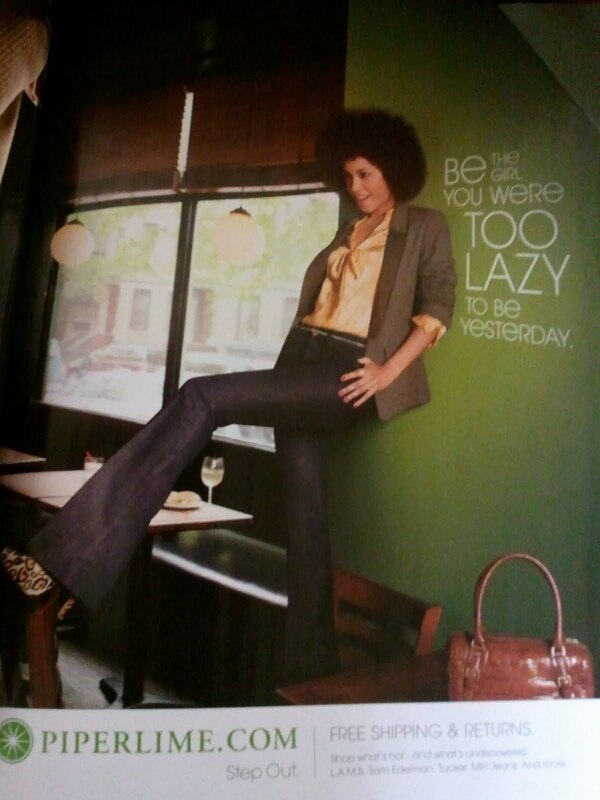 I saw this Piperlime ad in the September vogue that I picked up a few weeks ago, and it has stuck with me ever since. I'm thinking this might have to get ripped out and hung up somewhere in my office for a bit of daily inspiration. Maybe it's only me, but just maybe this ad will hit home with a few of you out there as well. So go out and be the girl you were to lazy to be yesterday! Have a fabulous Tuesday! The hubs and I are traveling somewhere cooler in a few weeks - until then though, I plan on living in dresses, skirts, and peep toe pumps. I'm stocking up on scarves, though, just in case it ever cools down in ATX. Is it fall where you are?